So having said that... let's get started! I have been drawing for a long time. Since I was little I would draw all the time on anything I could find. That passion for drawing and art has always stayed with me. But the problem is talent or potential will only get you so far. If you really want to become a great artist you will have to put in many hours of work. And you would preferably have someone there to guide you. Even now I am learning about basic skills I wish I had learned years ago. That is the problem of being self taught... you have to figure everything out yourself. Of course there are benefits to that too. Self taught artists are generally very motivated and passionate people. I have only come to the point where I am now just because I am passionate and slightly obsessed with drawing. But I want to know more, learn more and improve more. So that is why I am setting up this little drawing walkthrough. I have recently talked to several professional artists and it really has me fired up to learn even more faster. I'll start with the most important tips that I have learned from the PRO's. 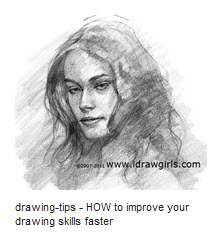 #1 - If you LOVE drawing never quit. Just keep at it! You'll get there but building up skills takes time. So don't despair. We all started somewhere. #2 - Master the basics!!!! 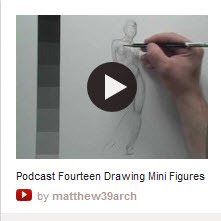 This will make your drawing life so much easier. #3 - Don't be afraid and just do it. If it doesn't work out that's okay. It's all part of the process. Learn from your mistakes and try again. 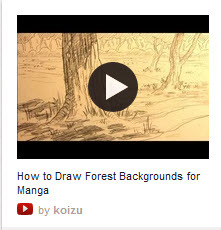 #4 - Don't stick to one thing or style (like anime). Learn from real life. Try out everything. Every style and medium. Make backgrounds, characters, objects etc. See what suits YOU and create your own style. I have learned a lot from other artist, books and tutorials. Here are some very wise and helpful words from Xia Taptara to get you started. Okay before we go any further let me give you another tip. If you like certain tutorials or video's save them on your hard drive because there is always a chance that they will no longer be there in the future. The following are some of my favourite tutorials I have collected from all around the Internet. I hope this will help you in your quest of becoming a better artist. My two favourite composition tutorials by amazing artists. Before continuing remember that anatomy is different when drawing from real life and drawing cartoon or anime. 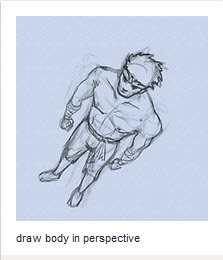 It's best to learn 'real' proportions and anatomy first before you go on and learn about cartoon/manga/anime anatomy. Having knowledge and understanding of real anatomy makes it easier for you to use in different forms like manga. Be sure to if you like this article and want to share it with others by getting it more exposure. If you have any tutorials or ideas how to improve this article please leave a comment. this is really helpful! thank you so much. 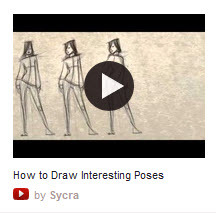 Oh, oh, also: I think this is a much better guide on how to hold the pencil. It explains why and several different types of grips you might use for different things (as well as answering some troubleshooting in the comments!). As the link you have says, the key is to draw with your whole arm -- and the 'scribe's grip' which your link has is less efficient at this. Sorry to spam you with links. again. I'll add that link soon as well. ... This list is pretty epic. I appreciate it more every time it pops up in my watch list. Another suggestion: Either instead of or in addition to Posemaniacs (which is ok for beginners but quite inaccurate -- the muscles are just painted on and don't stretch realistically and other stuff -- and some pros think it teaches bad habits because of this), for gesture drawing include PixelLovely, Lovecastle Drawing Script and maybe Photo References for Comic Artists (first two are free, last one is free for small watermarked images but subscription for the full res). Great links thanks. I got the first two and good to know about the bad habit of the stretched muscles offered at posemaniacs. I'll add the comic one soon. Thanks again. This is totally nit-picky so feel free to ignore, but you might want to put 'Pixelovely' in the name of the banner, because that's what most people know it as. Also one reason it's awesome is that it has a gesture mode with quick poses, so you may want to include the word 'gesture' too. Could even put all these sites (pixelovely, lovecastle, posemaniacs) in their own category like 'gesture & figure drawing tools' or something. This is amazing. Thanks so much for putting this all together! Thank you so much for taking the time to put this together. You are really kind. I was goin to say I like , but that would be a lie because I'm in love with you . Thanks for the journals with links to tutorials. Please don't ever even THINK of deactivating your account or deleting these journals. 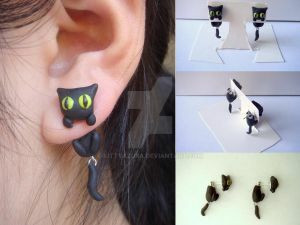 People need these! Haha! I wasn't planning too. Actually I'm constantly looking for things to add. Wow, this is informative! Thanks so much for sharing! 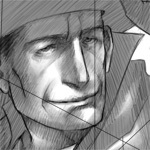 The one on Conceptart.org is lower quality, and Deviants mostly like DA stuff because it's easier to collect. Also, it's not associated with 'conceptart.org' in any way, it's just that I posted it there for critique and exposure. It was designed for DA in mind. Thanks so much for including it, by the way! Hi Lulie. I hope you don't mind that I mentioned your name and journals again in my article. I saw your wonderful color theory link and I really wanted to include it. I put a link next to it of you. Would you like me to direct link to your articles or do you find your icon sufficient? I'd be delighted, thanks. Icon is more than sufficient. That site (huevaluechroma.com) is definitely my favourite tome on colour. But it is a bit technical and dense -- I had to go through it twice with a notebook to really understand it. So I'm working on making my own guide to colour, based largely on that but more artist-friendly. Thing is, colour turns out to be a huge topic so I'll have to put a lot of time into it before it's done, and it'll have to be an ebook. When it is done, though, I'll make a smaller tutorial of some of the most useful stuff from that for DA. Also if you were looking for a book on colour, I can't recommend James Gurney's Color and Light</i> enough. It goes into more depth about what colours you can expect to see around you (and conversely less depth about why it's happening, which is why the Dimensions of Colour website is a nice complement). I didn't know you were here on DA! 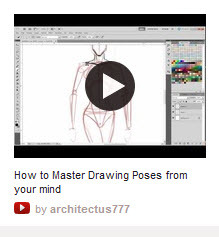 Your tutorial is brilliant. It's very helpful and easy to understand. Thanks for sharing your knowledge. I hope this gets you lots more exposure, you deserve it. Thank you. ^^ I did link to DA in the CA version of the tutorial, heh. But it was a little note so I guess it's easy to gloss over. Wow thank you so much for taking the time to do this. The resources you've collected are amazing. dude I like your taste, I follow a lot of the artist you listed myself. Great collection. Always cool to meet people with similar taste. This is extremely helpful! Thank you so much for collecting al these great links and tips and put them so well organized toghether here. It's awesome! I always wish I had access to this stuff when I was a teen... but when I was young the Internet was a whole new concept. Coloring WalkthroughJust wanted to highlight some different coloring techniques I found throughout DA. 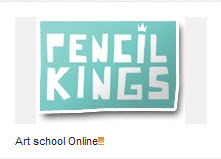 Most of these tutorials are for Photoshop. A few highlight other programs. Coloring Walkthrough part IIIt seems DA is no longer accepting as much thumbs as before. So I am afraid I have to split the journal I have made in the past. Sorry guys. You decided that you want to make a photomanipulation. But what to make? There are so many photomanipulations already out there and mostly with the same theme. So you decide you don't just want to stick a pretty girl onto a beautiful background. No you want to be original and have your manipulation portray a message everyone can relate to. Of course if you choose to portray something as love there are many ways to do so. Do you want it to be a surreal depiction of love, or dark, fantasy, sci-fi, conceptual, humourous... your choice will of course decide the whole 'feel' of the image. So choose wisely as they say. Weekly Feature 18Last feature of 2015. 10 beneficial things artists should ask themselvesHere's 10 important questions to ask yourself. Read them constantly as a checklist to make sure your are heading in the right direction and using your artistic potential. 1. What motivates you to create art? Write down your answer and think about how you can use this very important information. 3. Does your art express something interesting? Great art means something to its viewers, not just its creator. 4. Does failure push you forward? How you deal with failure will determine how skillfull you will become. 5. Do you enjoy arguing or flaming people's work? If you are the type of person to hate on others, it will come back to you. Especially with the internet and all the social networking. Ever feel like there's something wrong with your art, but you just can't identify what? If you're painting a picture in colour, this technique is really helpful. Values are important in a painting to give a 3-D feel and to make the painting not feel flat. 'Value' is how light or dark a colour is. It's often hard to tell the value of a colour as colours can easily trick your eyes into thinking they're lighter or darker than they actually are. Which is darker? The blue probably appears to be. However, when we make the image greyscale (take away the colours), you'll see that the values of the colours are almost identical. Are you interested in trying our Official Photomanipulation Tutorial Challenge but unsure of where to begin? Look no further! Here are some tips about creating a tutorial that is easy for you to write and easy for us to understand. We hope these pointers will be useful to you; as always, feel free to leave questions or comments. What do people compliment you about most frequently? What are you most proud of in your manipulations so far? It could be anything, from the way you select and cut out stock to the way you make your colors pop. Start from your strength, something you can talk about with ease. 2. Take the pressure off! "You can't just turn on creativity like a faucet. You have to be in the right mood. You are well-aware of the importance of this project, in fact you can't wait to get to it! Too bad you promised your friends to go for a drink, and then there's that movie. Also, your productivity is at its strongest at Midnight, first Tuesday after the Full Moon, starting earlier would be a waste of time. Make sure you are well-rested! After all, is there a better way to prepare yourself for a productive tomorrow than an enjoyable today? Teaching yourself to draw [Part 1: Stylizing]Practice, they say. So you go and draw more, right? Sounds easy! A few months later, and look - you're better at drawing. Cats. Or dragons. Or whatever your poison of choice happens to be. But now you want to draw something else. So you start alllll over again. Great. The dA news platform is a great way to adress the community and teach them things about a wide range of topics, and of course to find information that you didn't even know you were looking for! Over time I've collected many great articles. This series will bring them together per topic so it's easy to find what you're looking for! Besides helping people find information they need, the aim of this series is also to promote quality on the news platform. Articles may overlap on some areas, and may contain outdated info though I've tried to avoid this. PE: Learning to paint with deviantArtA lot of people want to learn to draw and paint better but they just don't know where to start. You don't need an expensive art course to learn and progress, sometimes the answers are not far away. On DeviantArt, artists not only share their artworks but many of them are willing to share their working secrets, they create tutorials and FAQ journals or simply answer to your notes if you ask them. When you know what you want to improve, searching for a good tip gets even easier. TUTORIAL - Tips for All ArtistsHello everyone! I have written a tutorial like this before here. But recently I have had more thoughts about it that I decided to share. As you may have noticed, I am not a professional artist, I am a hobbyist and self-taught, and what I will expose here is what I've learnt from my own experience. Even so, I hope this tutorial will be helpful to you! Another note: English is not my first language, so I apologize if I commit any mistakes. Feel free to correct my grammar any time, as well as make suggestions or asking questions! 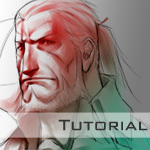 This tutorial is for every kind of artist, but sometimes I will focus more on visual artists (since it's my speciality). I believe that everyone can be an artist, and this tutorial has not only the purpose of providing advices and tips, but also motivation for all. 7 important traits for any artistHere's a checklist of 7 important traits to becoming a successful artist. It's not the 'ultimate top 7' but these are the questions I thought of first. Either way they are extremely beneficial questions to ask yourself. 1 Do you draw even when you don't feel like it? It's an essential skill to being a successful artist. 2 Do you know what motivates you? The more you know about what makes you tick, the more productive you can become. 3 Do you constantly fight past your comfort zone? It's the best way to evolve quickly. 4 Do you set aside some time at least once a week to work on your own stuff? Keep those creative juices flowing! 5 Are you passionate about the work that you do? Keeping the passion burning will lead you to bigger and better jobs. Everyone wants to work with passionate people. 6 Are you prepared for the opportunities you're waiting for? Prepare for the opportunity now and they will come sooner than you think. Challenging Yourself to Become a Better ArtistLike others here, I get asked a lot of questions about my art, my process, techniques, and my inspiration. One of the questions I get asked that makes me both smile and laugh is, "How did you get so good?" Half the time it's a rhetorical question, and the other half is people genuinely wanting to know how to get better at art. The answer is deceptively simple: I challenge myself and maintain a positive attitude. Now you might say, "Well, everything I do is a challenge, I'm not that good yet." But that's not what I mean. Of course getting better at art is challenging, and even when you're what others might consider a master, art never stops being a challenge. But what I'm talking about is specifically setting goals for yourself and taking on projects that you KNOW are going to make you struggle. The projects that you KNOW are going to make you want to give up and do something else.